I'm excited to bring you my featured listing for this month. Introducing 12523 Carnoustie Lane! 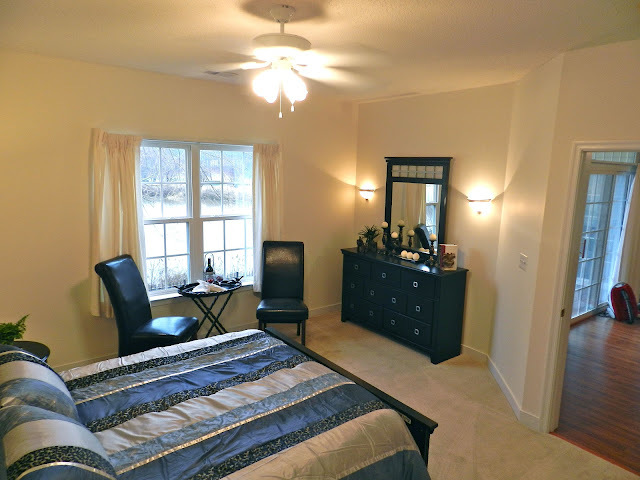 This gorgeous condo is located in the Stonehenge neighborhood within Fairways Villas. The end unit is ideal for anyone looking for 2 bedrooms and 2 full baths with beautiful and private views of the Stonehenge Country Club. It's an escape from the busy life of the city yet you are close enough to get to all of the shopping you will need. This charming condo was built in 2004 and is practically new! Enjoy the new hardwoods throughout the Living Room and Office. The bedrooms have been updated with new carpet too! The Master Bedroom is complete with a luxurious Master Bath including a huge walk-in closet, linen closet, WC, walk-in shower and jetted tub. Don't worry about a thing in your one-level condo that is wheelchair accessible. Pull into your direct entry garage and put your stuff away in your oversized Utility Room. The entire home is full of custom wire shelving. This place has it all! Visit the listing for more information and email me for an appointment. Have You Been To Carnoustie?